We value the trust you place in us and we are committed to safeguarding your privacy. webcrosswords.com (“Web Crosswords” or the “Site”) is operated by Bored.com Ltd (“we”, “us” or “Bored”) and is designed to be a fun and entertaining free crossword gaming site. What Information Do We Collect About Our Users and How Do We Use It? There are two ways information is collected by us: 1. you voluntarily submit it to us during the registration process by completing a form on our site or by communicating with us and providing that information as part of the communication; or 2. we collect it from all our site users electronically to track how the site is used, where our users come from and their preferences. This information is not shared with third parties (except those working with us to maintain or operate the Site, handle your financial transactions, provide certain customer services, maintain or improve our site integrity and security, maintain the users’, public’s or Site’s safety, address risks or comply with applicable law, as more fully described below.) We may use it to send you messages we believe to be of interest or about the Site itself, from time to time if you opt-in for such messages upon registration. Except as set forth herein, we do not collect any personally identifiable information or contact information about our users. We do not knowingly permit users from outside of the US or Canada, or North American users under the age of 13 to register for this Site or participate in any contests nor do we knowingly collect any personally identifiable information or contact information about or communicate with any user we believe to be from outside of North America or under the age of 13 from North America. Purchases: When you purchase goods or services from us or through one of our vendors using our site, we collect information to enable that purchase. This includes shipping, payment, delivery confirmation and any customer service issues. In some cases, you may purchases a subscription to premium accounts at other websites from a screen accessed from our Site. That information is collected by that other website, and not by us, and their privacy policies (not ours) apply to that interaction. Registered Users: We collect, track and maintain information about your account and about all communications with us, including reports of abuse received from you or about you, as well as the resolution of those reports. Information Provided to Us By Third Parties: We may acquire (but will not share) demographic information from third-parties online or offline to better direct services and offers to you or may acquire referral e-mail and other contact information from you other others recommending our site or other services. We will use that contact information only to forward an invitation or provide the information for which the referral was made. In addition to information you voluntarily provide to us through forms, communications and interactions with our staff, we collect certain data automatically when you access the Site. We collect this using cookies and other web-tracking technologies and use this to learn about how our Site is used and how to improve the user experience. We may also collect information about our users for each Site interaction and visit, including your IP address, your browser and available software and hardware information, whether you were referred to our Site by a search engine (including the search terms used to find us) or link from another Site or offline resource (such as a mobile). This is used to improve our Site and messaging efficiency, learn more about where our users come from and understand how our users use and ways to improve our Site. We link to outside websites and services, from time to time. While we try to select appropriate sites, note that we are not responsible for the practices, content or the privacy policies employed by third party sites. Please review those before interacting with those sites. We collect additional information from you when you send us an email, submit a form or otherwise request information from us as well as when you repot abuses or problems at the Site. We use this information for the purpose for which it was provided and also may track the user abuse reports, including the accuracy or inaccuracy of any abuse reports and may use this to help us determine the users who can help us identify problems or provide help in moderating and self-policing our Site. This information may also be used in identifying users that violate our terms of service or are disruptive at the Site. We do not sell or license your personally identifiable customer information to third parties without your consent, except as disclosed herein and if we enter into a merger, acquisition or sale of all or a portion of our assets, or transfer the Site or services provided therewith to any third-party, your information will be shared and transferred as part of that transaction. We share personally identifiable information about our users (to the extent we have such information) only with those involved in providing services, functions or professional advice to Funtank or as outlined below. We use vendors to provide certain services or functions necessary to operate our Site and offer and deliver products and services to you. We share information with those third-parties and vendors to the extent necessary for them to perform their function on our behalf. All of these third-parties must agree to protect the privacy and security of our users and not to use information they receive during the course of their duties for any purpose other than for which it was provided. To comply with valid legal process including subpoenas, court orders or search warrants. To respond to official inquiries of governmental authorities. In cases involving risks to any person or other emergencies, terms of service violations, and to evaluate and defend against legal claims in any forum. To outside auditors, legal professionals, security consultants and regulators. To prevent or manage what we, in our sole and absolute discretion, believe to be the unlawful or abusive use of our services or the Site or anticipated harm to our users, the public, Bored.com or Bored. Keeping children safe online is important to all of us. At this time we believe that it is best to restrict access to our registered member area to users 13 and older. So, our terms of service restricts users under the age of thirteen from registering for the Site, participating in any contests at the Site or from submitting personal information to us. If we believe an email has been sent to us from a child under the age of 13, that information is not stored and is used to reply to the child on a one-time basis only. Once the email has been replied to, their email address will be deleted from our records. If we discover a child under the age of 13 has falsified their age and registered for the site, we will cease collecting any further information on that child. Additionally, all data that has been stored in our system about the child will be removed, and the child’s registration will be revoked. Even without registration, though, the Site contains lots of free and entertaining content which may be of interest to preteen viewers and is accessible without registration or having to provide any information. Love the word scramble, I am hooked! Why does the system not recognize the proper date ? history at the end of each session. Hi, We have addressed this issue. Thanks. My LA Times puzzle has been stuck on Sunday, February 19, 2012 for five days. Can you help me? Please don’t make me go back to using LA Times’ horrible new interface to enjoy the puzzle! I enjoy your puzzles, but I prefer to print them and solve them on paper. Last week I was able to print the whole week’s worth without a problem. Today I cannot print to either my printer or to PaperPort Document Management software which acts as another printer. What is going on? Do I need to sign up for something to continue the use this site? There isn’t any printing problem I’m aware off. I did a test before and everything printed ok. It seems like a communication problem between the flash play (which is the plugin used for the crosswords) and the printer. Perhaps to be 100% of this is to try and print from another computer. You don’t need to signup or any other actions on our site as nothing has changed on our end. I hope this helps! My printer seems to be able to print from Word or Excel so it is not a local communication problem. Must I set some Windows or Google preferences (I am using the Google Chrome browser)? As I said, it worked fine last week, but not today and I don’t think I have changed any settings. Firstly, thank you for the puzzles and the website. I’ve looked and I’m unable to find an setting, within the crossword’s options, to change the grid blackness. A similar application provides settings for 5 shades of black, from 100% to 0% as an ‘Ink Saver’ option. I’d love to see something similar built into the app. used for crosswords on your site. Thank you again, have a great day. Also, didn’t find any ‘Contact’ in this website. This has been fixed, thanks. Can't remember the birthday of a friend, relative or co-worker? 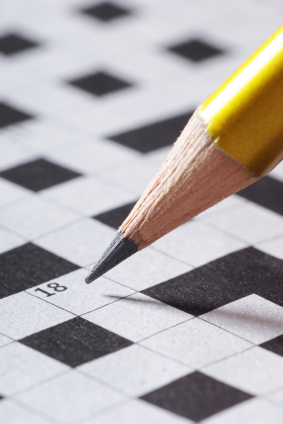 Enter your email address below to receive a new secret crossword puzzle in your email. (once per week).